Hidden Gems brings to light little known film gems which have somehow slipped through the collective cinematic consciousness. You’re welcome. This week Reservoir Dogs. No one has ever heard of Reservoir Dogs, which is a pity because it shows real promise from first time director *checks notes* Quentin Tarantino. 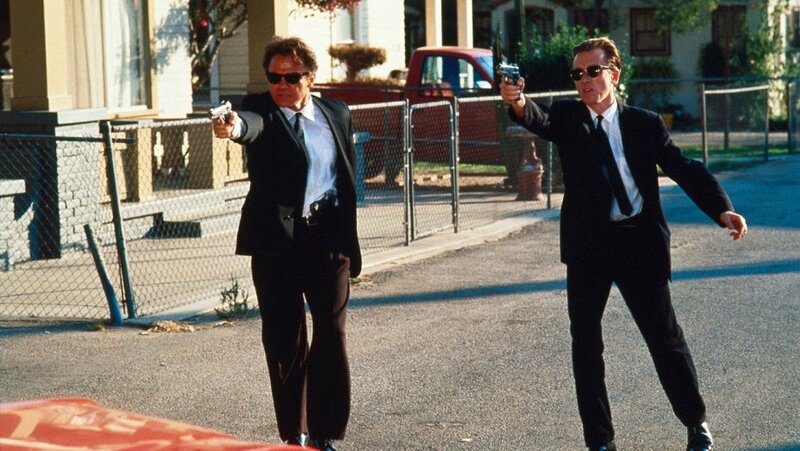 Harvey Keitel, Tim Roth, Michael Madsen and Steve Buscemi are a gang of thieves in a robbery gone wrong. Perhaps there’s a rat. First we see them talking about Madonna songs and then everyone’s covered in blood in a warehouse pointing guns at each other. The story jumps back and forth, which might be why no one went to see it. There’s also no robbery which might also come as a shocker. All of that happens off screen. However, there is violence. Particularly the torture of a cop is pretty horrific. But the film maintains a detached ironic tone with a local radio station playing ‘sounds of the seventies’ throughout the movie. And that’s what works. Aside from the whip smart story-telling, there’s also the sense of just hanging with these dudes. We’re like the undercover cop. We don’t really approve of their actions but we can’t help but be drawn into their world. In fact, it’s hard to see why this film wasn’t a bigger hit. I also like the fact that this is a sunny film. This kind of doomed crime movie – like Stanley Kubrick’s The Killing – could so easily be moody shadows and rain. But this is Los Angeles heat and all the more thrilling for being literally daylight robbery. I suppose the reason that it didn’t break through into the mainstream is because at no point in the film does someone say the line ‘You know those guys remind me of the dogs that used to stay down by the reservoir. The reservoir dogs.’ And then turn to the camera and nod knowingly.